Signalstoerung is not only one of the founding members of both the german artist collective Global Noise Movement and Adventurous Music, but also creates audiovisual events, dj-sets, podcasts, and since the mid 90's, his own music. With his debut release 'S' he has created a new and different form of electronic music, which is a result of long-standing preoccupation with the pureness of stretched sounds, low bpm rates and the aesthetic value of noise. This album should be viewed not only as a collection of tracks, but as a coherent opus divided into individual, tightly coiled segments. 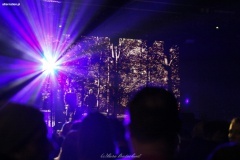 Although Signalstoerung's sonic work is clearly unique, references to Mick Harris, Mechthild von Leusch or the raster-noton label might be given. On 'S' he delivers a fascinating and mesmerizing combination of repetitive music with slow dub beats, melodic leanings and abstract minimalism. A great arena of sublime and disturbing sounds and treatments where each single tone keeps together the fragile construction and each element is precisely placed in intensity, void and volume. If the ability to dance had been given to circuits, the slowly eroding continual rhythms of 'S' combined with its sparse and menacing abstract sequences would be their favourite input. Some Messiahs deliver their Gospel, hang out for a long weekend and then leave the rest to the followers. 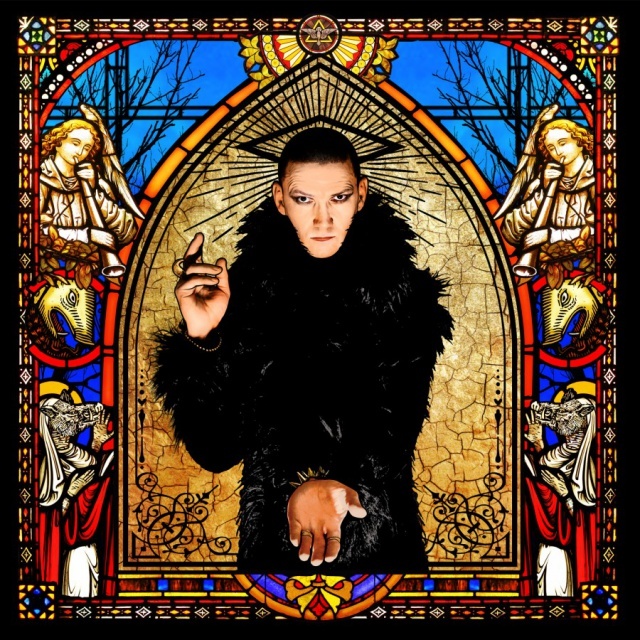 The Lord Of The Lard calls on Ben Christo, Z.Marr, En Esch, Tim Skold, Marc Heal, Phil Barry, Mark Thwaite, Anita Sylph & Emre Ramazanoglu & gets to work on bringing glam to the damned. "Risen" is the unadulterated and driven sound of pure PIG, adorned only by the poetry Raymond Watts provides. Much demanded re-issue one of the key albums in the Coil discography - "A Thousand Lights In A Darkened Room" with unreleased bonus-track. Recorded in 1996 as "Black Light District" Project, the name was taken from a track by Boyd Rice. John Balance, Peter Christopherson, Drew McDowall, Danny Hyde were a part of this record and this current reissue, authorized by Danny Hyde comes in remastered quality by Martin Bowes (Attrition). This CD contains an unreleased(!) track from the "Black Light District" recording session and Danny Hyde's comments in the booklet. Carl Nilsson aka. 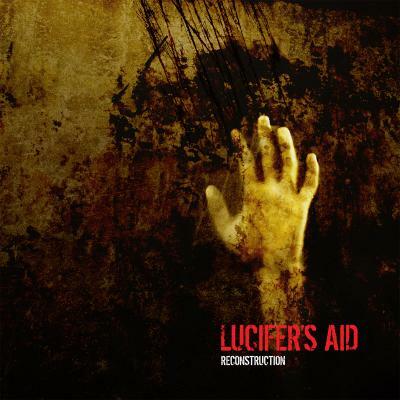 Lucifer's Aid has quickly established himself as one of the strongest new forces on the EBM scene over the last year with shows on all major festivals such as Wave Gotik Treffen, NCN, Amphi Festival, E- tropolis, Electronic Winter and Progress13 to name just a few. Something that we don’t think has ever been done within a one year time frame. When he now returns with the MCD "Reconstruction" it is with such an unstoppable force of energy that all alternative dance floors around the world will simply be boiling. 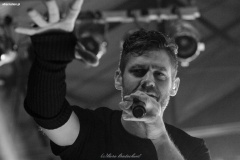 Straight, hard and club oriented versions on some of his already now classic tracks like "Deep Inside", "Future Mess" and "Unfollow Me" mixed with brand new tracks. 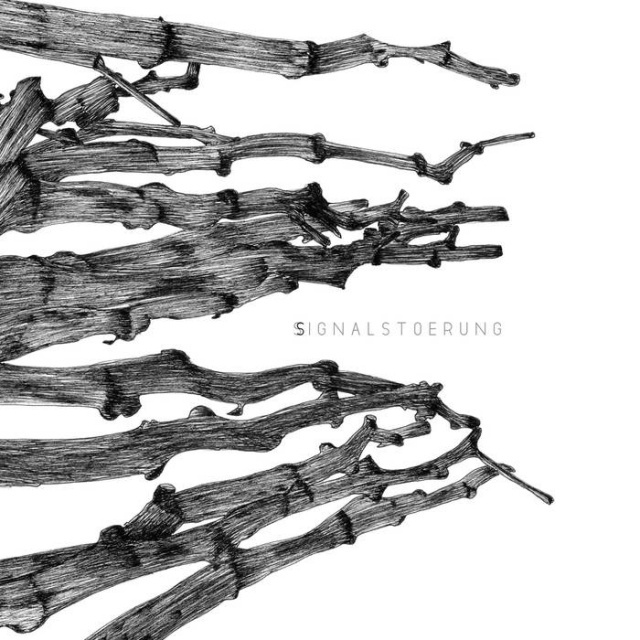 It´s for sure one of the best hard electronic releases we have ever seen released from the Nordics. A new chapter in hard dance-able, rhythmic industrial EBM mixing the cold harsh feeling of acts such as The Klinik, Dive and Front 242 taking it to a new 2018 level. Limited to just 500 copies worldwide (hand numbered) this will for sure be a future gem in people's collection. DV8R is a dynamic, hard hitting dark electro project from Seattle Washington. 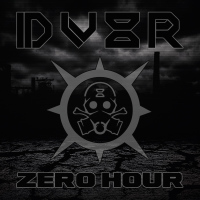 From early 2017 to current, the members of DV8R have unleashed their diverse musical experience to create their first single (static) and their full length album "Zero Hour". It is a perfect storm of hyper alien synths, stomp drums, haunting vocals and a post apocalyptic message. DV8R are no strangers to the music scene. 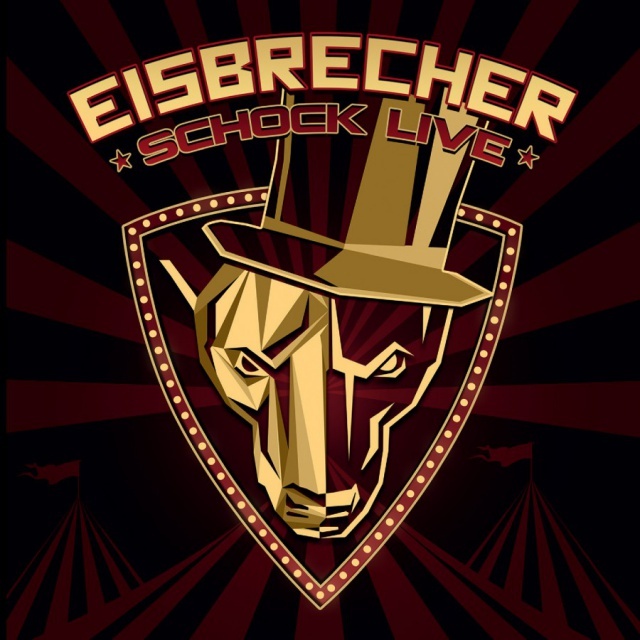 They have shared the stage with bands such as Front 242, VNV Nation, Assemblage 23, Killing Joke, Covenant and many more. 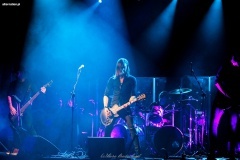 DV8R is passionate about generating high quality music, electrifying performances and an over all memorable experience. Crossing lines in the digital apocalypse with girding energetic rhythms and post-industrial soundscapes, DV8R is carving its way into the skull of dark electro fans...locked and loaded. The official debut album "Zero Hour" is produced by no one else then "Tom Lesczenski" of S.I.T.D. fame featuring four massive remixes by Aesthetic Perfection (Feat. Daniel on vocals), Faderhead, Imperative Recation and Assemblage 23 as bonus tracks. A must have for all fans of dark, hard hitting electronic beats!